Good morning, Brainstainers! Let’s start things off this week with some unsurprising and depressing news that will show just how far socialism goes in the way of causing the decay of a whole country. We need only to look over to Europe at the Scandinavian country of Sweden to see the damage that socialism has caused. Yes, what the headline reads is not a mistake; Sweden now proposes to raise the official retirement age to 69 years old. The reason why? To pay for all the migrants and refugees that are a constant strain on the nations’ resources. You’ll be hard pressed to find that sort of information in the nations media or in any press publications. Why you may ask? Well, it’s due to the evils of socialism using left wing media to keep those kinds of stories covered up, not to mention George Soros keeping the funds of far-left groups and ideologies of the nation topped up. Additionally, you’ve got that ridiculous construct of political correctness, coupled with the systemic brainwashing of the masses formed onto meagre minds, who fear being called out as racists if they speak out about what’s really happening in the country. All in all, it’s just better to let your own nation totally fall apart than to address and admit that there’s a mass migrant problem. The current figures of Sweden’s out of control welfare state handouts says that 58% of all welfare spending goes to the migrants, most of whom do not work. During the migrant crisis, countries like Sweden and Germany, who have been taking the brunt of EU’s plans to flood it with these kinds of problems, said that the country needs the workers to boost the economy, but the reality is that these migrants are just coming over for a free ride. They’re living off the state’s welfare system instead of working as they were supposedly meant to. Who would have thought something like that would happen? Who is made to suffer in all of this? Well, it’s the original Swedish people who’s quality of life is already starting to wane. We suspect that it will drastically drop even further in the coming years if things carry on as they already are. Remember, Sweden used to boast about having a great quality of life due to it being some kind of socialist utopia, with the ideals of socialism being heralded as the answer to all life’s problems for them. Not so much, anymore. 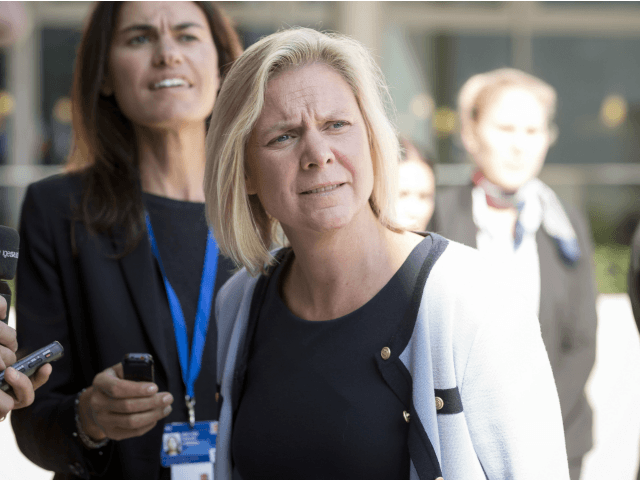 The Swedish Socialist party’s finance minister, Magdalena Andersson, said that the retirement age would most likely be raised in the future to offset spiralling welfare costs. Magdalena told the Expressen newspaper: “Looking at those who start working at 30, there should be opportunities to work longer than 65”. This is the latest foregone conclusion of the effects of mass Muslim migration due to a pro-EU socialist government. The minister responded to a report from local authorities and the county council (SKL) which was released last week which clearly stated that the welfare state is growing faster than the revenue obtained from tax paying workers, due to a dramatic rise in the population of Sweden because of the mass migration influx in recent years. The current rise in birthrates has made Sweden into one of the fastest expanding nations in all of Europe. However, this only seems to be draining and straining the countries resources. The SKL study claims there is a £4.1 billion gap between current revenue from taxes and welfare costs which will have to be made up by either increasing taxation even further, or increasing the retirement age. All of this just to pay for the migrants and refugees, of course. The people whom are most likely to be on welfare and cannot find jobs. Even if they were looking for them, it’s not likely that they have the qualifications to actually gain those jobs in the first place. Socialist politicians pin their hopes on the influx of migrant votes in upcoming elections, which is how Socialism works in a nutshell: free stuff from your hard work, given to the people who do not work or do not contribute to anything, much at all. However, there might be some light at the end of the tunnel with the Swedish Democrats expected to win the next election, but will it be enough for them revert this problem before it gets even worse? Experts say, “No”. 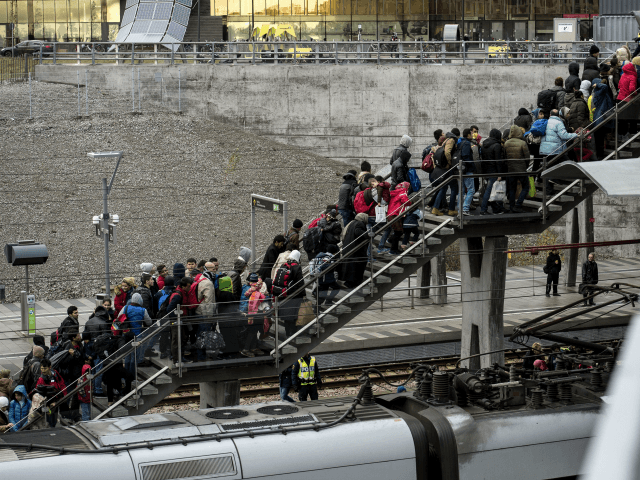 Since in 2016 alone, the influx of Muslim migrants cost Sweden £48.3 billion, so naturally, the quality of life for Swedish people will keep on declining for years to come unless something is done quickly and quite drastically. Meanwhile in Austria, a new government has been made, with the logical mind of Sebastian Kurz of the People’s Party (OVP) striking a coalition government party deal with the Freedom Party (FPO), both of whom are against mass migration and welfare handouts, something which is a systemic issue within EU nations in collusion with some kind of evil unseen force. Poland, the Czech Republic, and Hungary refuse to take in any migrants, and are now facing the possibility of some EU sanctions for being against mass migration and wanting to “help” these people out. Well, can you blame them, after seeing what’s been happening in Germany and Sweden? So, maybe it’s time to be more like the Eastern European countries or even Austria, by standing up for your countries rights, or your country may end up like Germany or Sweden.